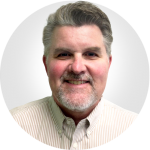 With 27 years of experience working in the transportation/logistics industry, Rich brings a wealth of experience, knowledge and perspective that is of great value to Strategic Choice Partners and its clients. His goal within the transportation/logistics industry over the past 27 years has been to assist all clients to become more efficient and drive costs out of their systems. This has been achieved though Common Carrier Freight & Small Parcel Rate Negotiations, Customer Relations, Business Strategy Planning, Supply Chain Management, Fact Finding, and Vendor Compliance.